A lot of you are wondering why we are taking so many Boxer dogs/puppies from Puerto Rico. Let us assure you these pups and dogs ARE NOT coming from any puppy mills. These puppies and dogs are coming from the streets, high kill shelters and local people who have not spayed/neutered their dogs and have puppies and cannot afford to take care of them. 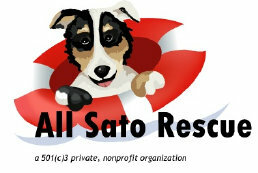 Over a year ago, we were approached by All Sato Rescue, a 501c3 non-profit dog rescue in Puerto Rico. (Sato is the name given by the people of Puerto Rico for their Island Dogs). They have a HUGE over population of dogs (Sato and many other breeds, including Boxers) in Puerto Rico due to the lack of education of the people and the lack of people being able to afford to spay/neuter their dogs. We were asked if we could help possibly save a Boxer or two that comes their way. Of course we said we’d be happy to help. What’s happened over the past year has been wonderful. After we took in three or four Boxers from Puerto Rico word got out there that there was rescue for Boxers and through the All Sato Rescue, we’ve managed to save over 60 Boxer dogs and Boxer puppies from the island. What happens is the owners of the adult Boxers who do not spay/neuter their dogs, get pregnant. Normally, they would put the puppies in a box and bring them to a place called “Dead Dog Beach”. See link below with information on this horrific place. There, the puppies would die from no food, water, etc. They also drop adult dogs off on this beach as well. Many rescuers in Puerto Rico go to the beach daily to save as many as they can. Since word is out that there is rescue to help the Boxer breed, the owners of the female dogs that have given birth contact All Sato Rescue and ask for our help. The owners are REQUIRED to have their female spayed in order for us to agree to take the puppies. Once they agree and sign a contract to spay the moms, All Sato Rescue volunteers in Puerto Rico take care of vetting the puppies, feeding the puppies and assuring they are well cared for. Once they are old enough to travel, All Sato Rescue gets them on a cargo flight to Boston and The Boxer Rescue takes over from there. The Boxer Rescue in conjunction with All Sato Rescue pays 100% for the vetting, food, kenneling, air fare etc. for all the puppies and adult dogs and most importantly, we follow up to be sure the female adult dog is spayed. That spaying is also paid for by either All Sato Rescue or The Boxer Rescue. So we have one less female dog that can have babies! So these puppies that we are saving would otherwise die if it wasn't for All Sato’s hard work in Puerto Rico and The Boxer Rescue to find homes for the puppies and other dogs we have taken in. Here at The Boxer Rescue, we get many applications from wonderful people with babies, toddlers and young children and often we cannot find a dog that will fit with their family because often times we have Boxers in our program that never grew up with children or were never socialized properly, therefore cannot be placed with young children or children at all. Since we have wonderful families that have the time and ability to care for these pups, we are thrilled to be able to save these dogs and place them in fantastic homes. Families get puppies/dogs that are “TRULY RESCUED”. We would also like to let our followers/friends know that the donation money we receive for all of our dogs is used to take care of MANY senior dogs. The Boxer Rescue takes in every senior dog we can. They often require expensive medical attention and we use the donations from the puppies and other dogs to care for them. It’s been a win/win situation. We at The Boxer Rescue are grateful to our friends at All Sato Rescue in Puerto Rico to allow us to help in their quest to spay and neuter the dogs in Puerto Rico and to save as many Boxers as we can from death in the streets and on the beach. All Sato Rescue also works with hundreds of other Breed Specific Rescues throughout the U.S. rescuing many other breeds of dogs as well. All of the rescues that work in conjunction with All Sato Rescue are blessed to be able to save so many of the dogs from Puerto Rico. In the process, we all strive to reach the goal of educating the people about spaying and neutering their dogs and hoping we can help reduce the pet population in Puerto Rico.